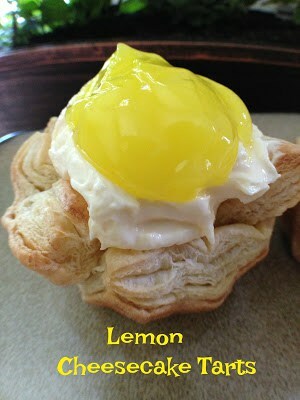 Need a ‘sweet treat’ to bring to a party, work or a potluck? Then Easy Lemon Cheesecake Tarts are just what your looking for. Made with convenient store bought ingredients, they are fast, easy to prepare and delicious too. These bite-size tarts are always a favorite at any party. 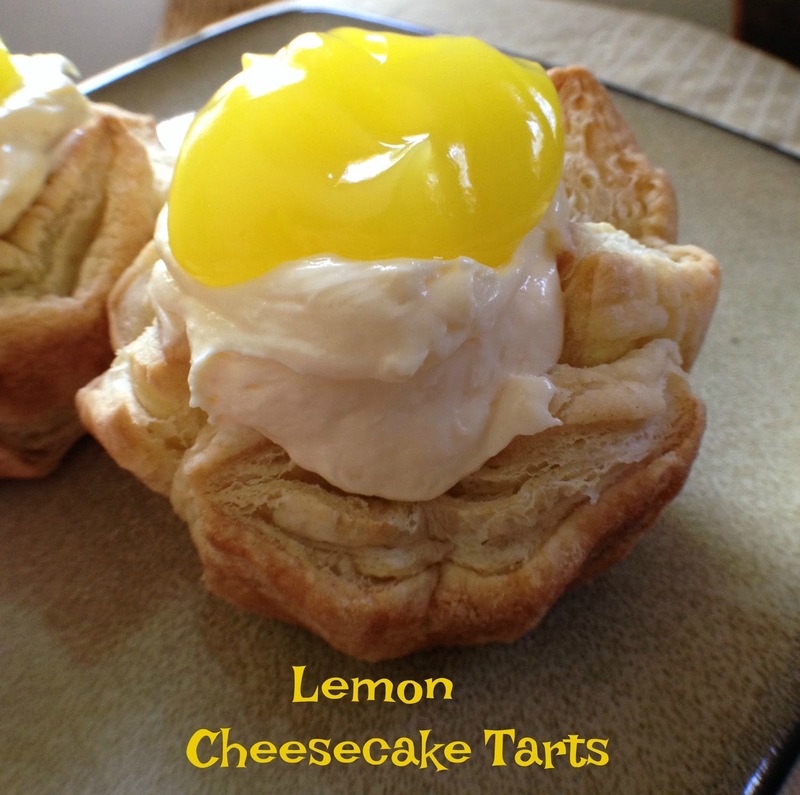 Easy Lemon Cheesecake Tarts are made with: Pepperidge Farms Puff Pastry Sheets, Philadelphia “Ready to Eat” Cheesecake Filling, (you don’t even have to cook this yummy stuff) and Wilderness Lemon Pie Filling. If your not a lemon lover than you can use cherry, blueberry, or apple pie filling. You could even substitute the pie filling with a chocolate pie filling. Talk about Easy! Pepperidge Farms Puff Pastry Cups or Shells can be used in place of the puff pastry sheets. 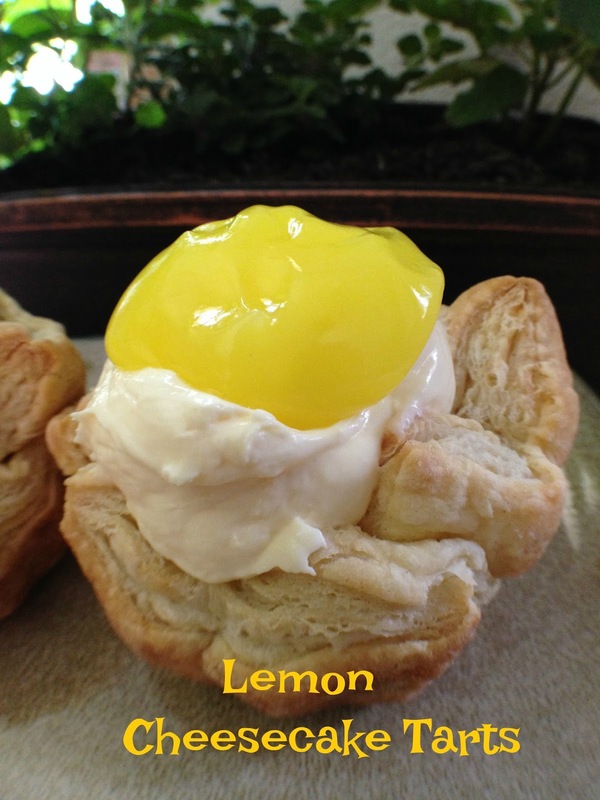 Garnish these tarts with a sprig of fresh mint if desired. 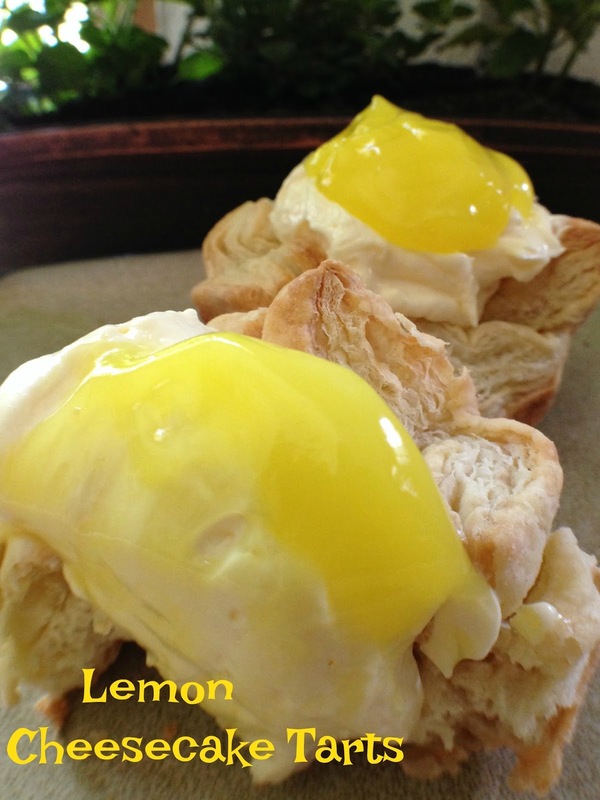 Delicious and Oh so Easy! Remove frozen pastry sheet(s) from box and paper wrapping. Thaw pastry sheet(s) at room temperature for no more than 40 minutes or until pastry unfolds easily. Thawed sheets should still be cold. Unfold pastry on lightly floured surface. Remove parchment paper. Cut into 3 strips along fold marks. Cut each strip in half, 12 rectangles total. Lightly grease one 12 cup muffin tin pan. Press one rectangle into each muffin tin. Bake for 15 minutes or until pastries are golden brown. Cool pastries on wire rack until cool. Set aside. 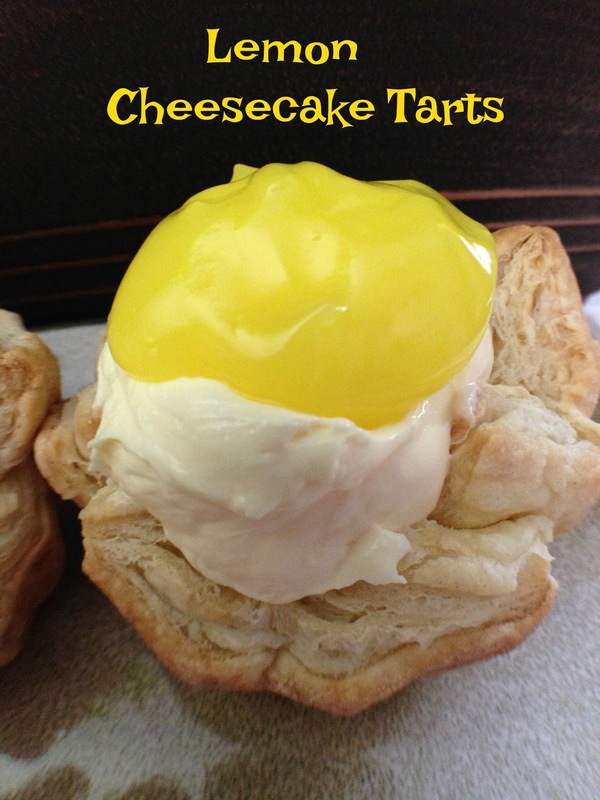 Spoon cheesecake filling evenly into baked, cooled tarts. Spoon a small amount of lemon pie filling onto cheesecake filling. Refrigerate for 10 to 20 minutes. Garnish each tart with a sprig of fresh mint, serve immediately. *May not use all of the 'ready to eat' filling or pie filling.